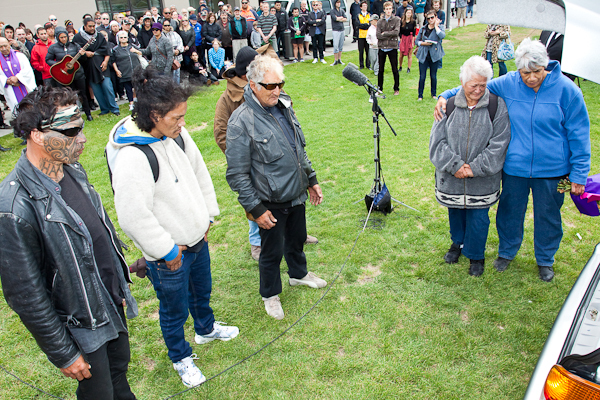 The public funeral service for Ben Hana, aka Blanket Man was held yesterday at Waitangi Park in Wellington, which saw approximately 120 people in attendance. 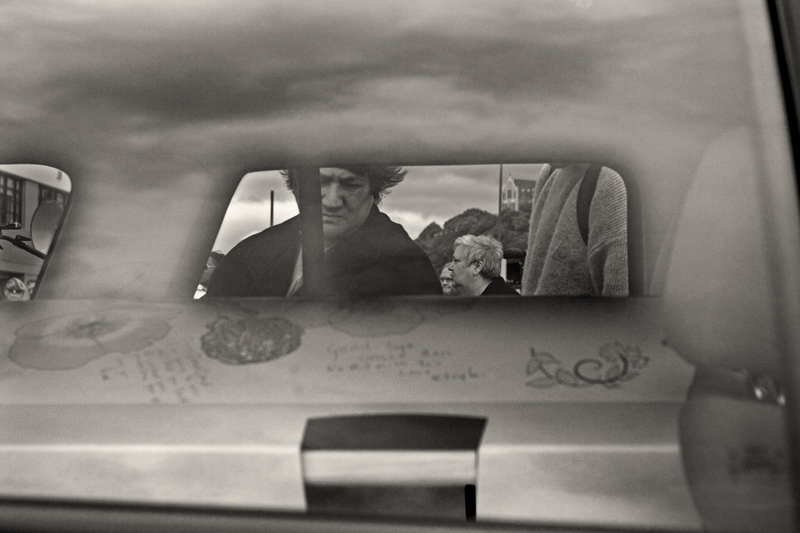 Hana, a homeless man who resided on the footpaths of Wellington’s Courtenay Place, was a well-known figure and attained almost celebrity status. 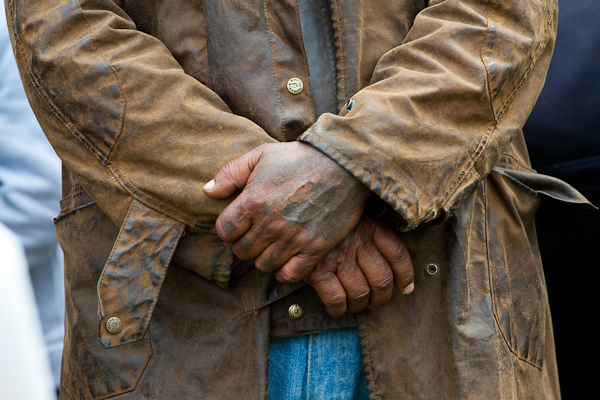 He earned the pseudonym Blanket Man from the loin cloth and blanket he used to cover himself with while living on the streets, even through Wellington’s wet and blustery winters. On Sunday 15th January 2012 he died in Wellington hospital at the age of 54. Purportedly a one-time family man with four children, and a good job as a forestry worker, Hana’s life on the streets began tragically with the death of his friend which Hana himself caused through a drink driving accident, or so rumour has it. 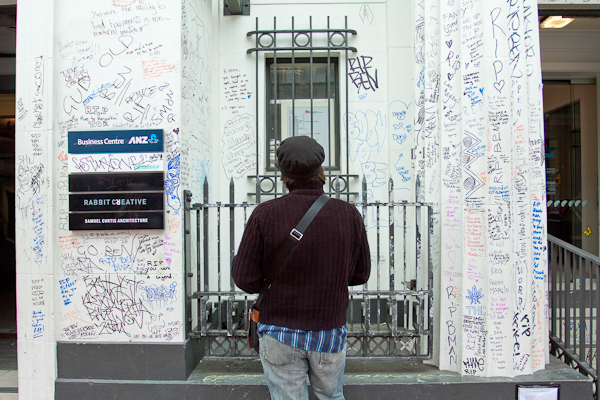 Snapped by many a-tourist on their trip to Wellington, his eccentric lifestyle and behaviour was revered by some, and offensive to others. With alcohol and substance abuse and reportedly refusing help from housing and social care organisations, his iconic status gave “him a sense of identity and a public persona, which was more important to him than well-being”, according to Stephanie McIntyre, director of Wellington’s Downtown Community Ministry. 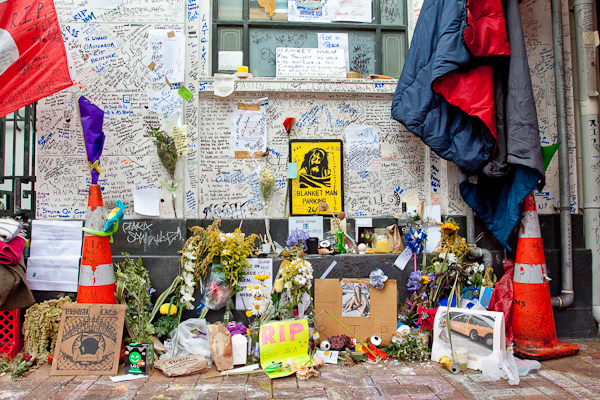 Hana’s death and subsequent media storm has led to an unofficial shrine being created outside the building where he spent most of his days, and even the millionaire philanthropist Gareth Morgan paying for his funeral costs. I didn’t know Hana personally to be able to say whether that much public attention is justified or not, yet I cannot help but wonder if this event is glossing over the issue of homelessness and other marginalised people living in Wellington. Homelessness is a complex issue. We all have our own experiences with which we struggle, and often our choices are limited to how we respond to circumstances outside of our control. We do not all start out life on equal footing, and some are more fortunate than others, and tragedy and misfortune can visit upon us when we least expect it. Life sometimes does kick people while they are down. Placing oneself in the shoes of another is never an easy task, when we fall foul to our all too human fears, judgements, misconceptions and prejudices. Does man make the society or does society make the man? Mourners gather outside Chaffers Marina at Waitangi Park to pay their respects to Ben Hana, aka Blanket Man. 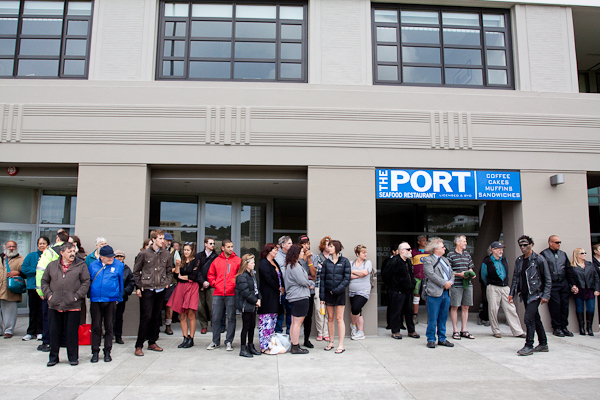 Mourners gather outside Chaffers Marina at Waitangi Park to pay their respects to Ben Hana as public service is given. 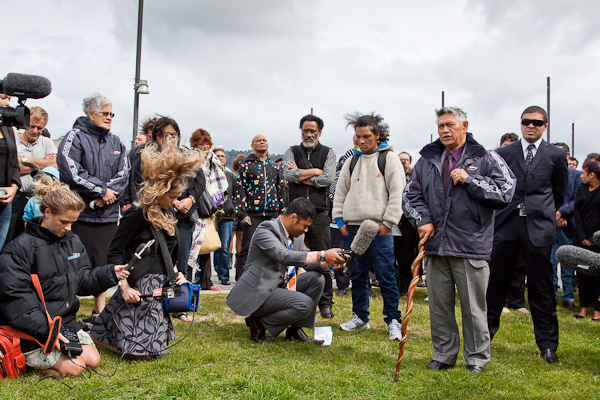 Mourners gather outside Chaffers Marina at Waitangi Park to pay their respects to Ben Hana, while journalists battle the wind during the public service. 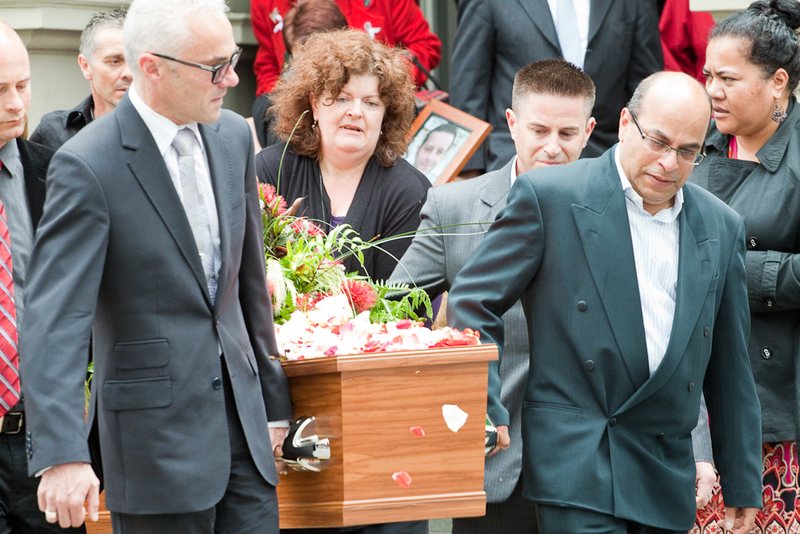 Mourners view the coffin of Ben Hana during his public funeral service at Waitangi Park. 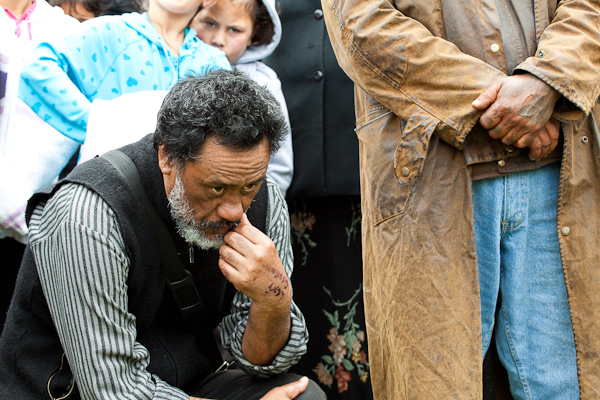 A mourner listens to the funeral service for Ben Hana, aka Blanket Man at Waitangi Park to pay their respects. 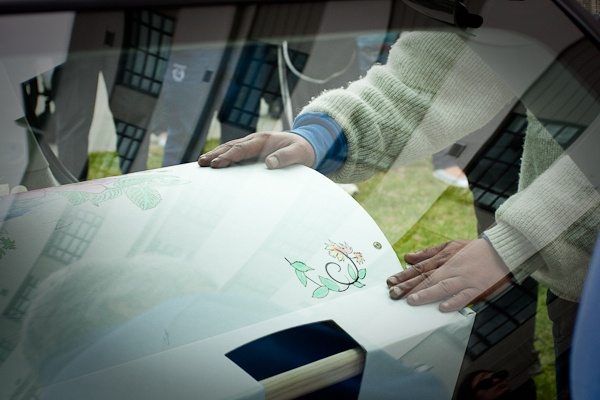 A mourner at Ben Hana's public funeral service views the coffin through the vehicle window at Waitangi Park. 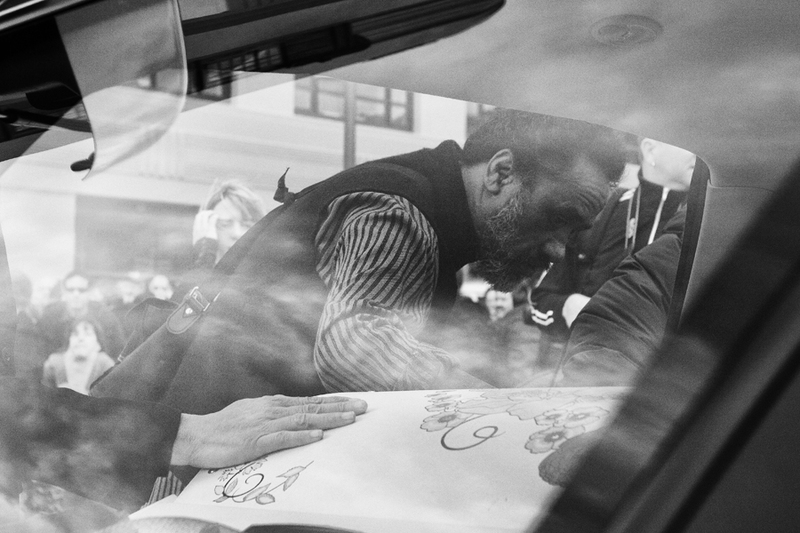 Mourners rest their hands on the coffin of Ben Hana, aka Blanket Man, during his public funeral service held at Waitangi Park. 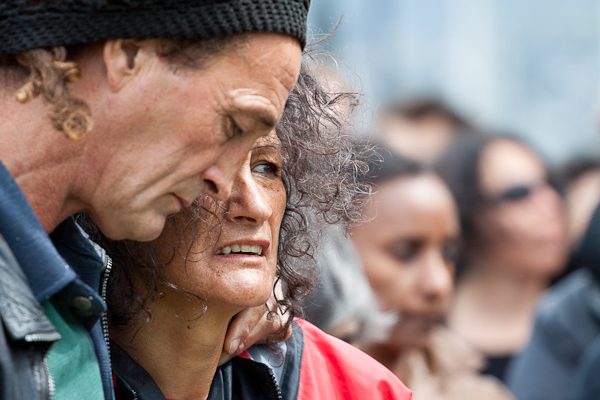 Mourners gather outside Chaffers Marina at Waitangi Park to pay their respects to Ben Hana. 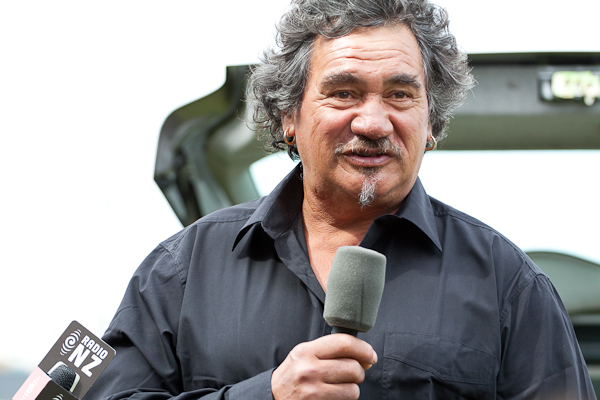 Tony Hana speaks to the crowd during the public funeral service at Waitangi Park for his brother, Ben Hana aka Blanket Man. 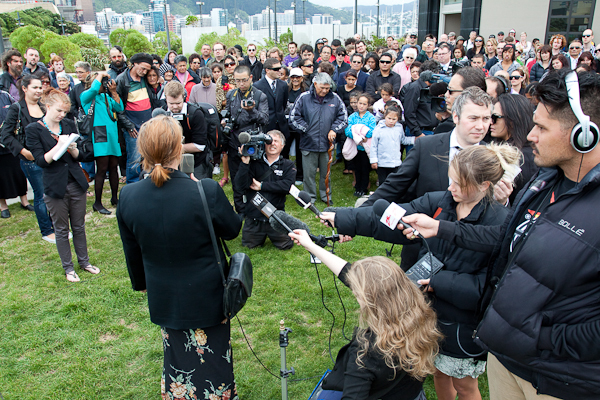 Maxine Dixon, Ben Hana's lawyer, speaks to mourners who have gathered to pay their respects at Waitangi Park. The unofficial Ben Hana memorial outside ANZ bank on Courtenay Place. 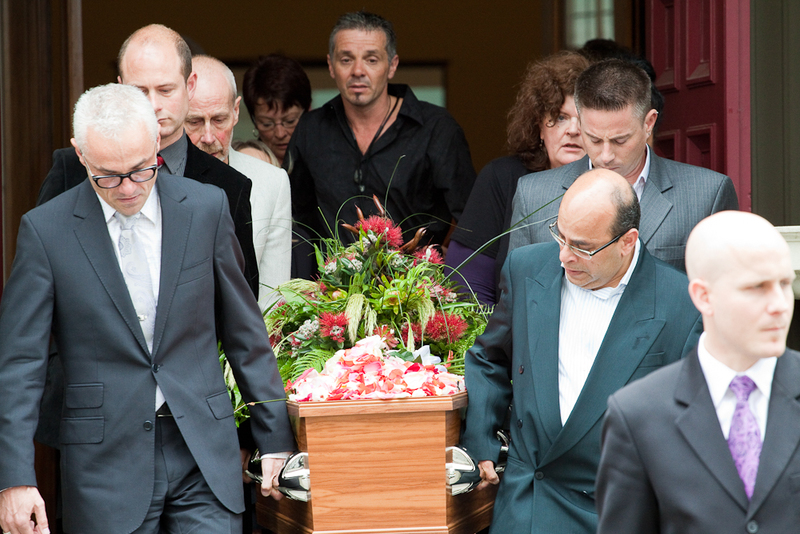 I photographed the funeral of Phillip Cottrell, the Radio New Zealand journalist who was found badly beaten on Wellington’s Boulcott Street in the early hours of the morning after finishing work on Saturday 10 December. His injuries were severe and his life support was turned off the following day. His funeral on December 16 at St. Andrews Church on The Terrace was attended by many of Mr Cottrell’s friends, family and colleagues, and the events surrounding his death received an outpouring of shock and grief from the general public. 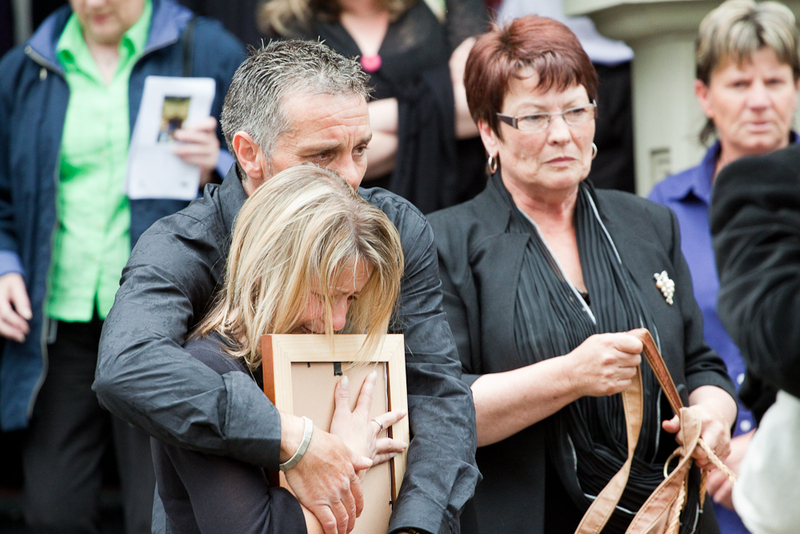 Friends and family of murdered Radio New Zealand journalist, Phillip Cottrell, carry his coffin after the funeral service at St Andrews church in Wellington. 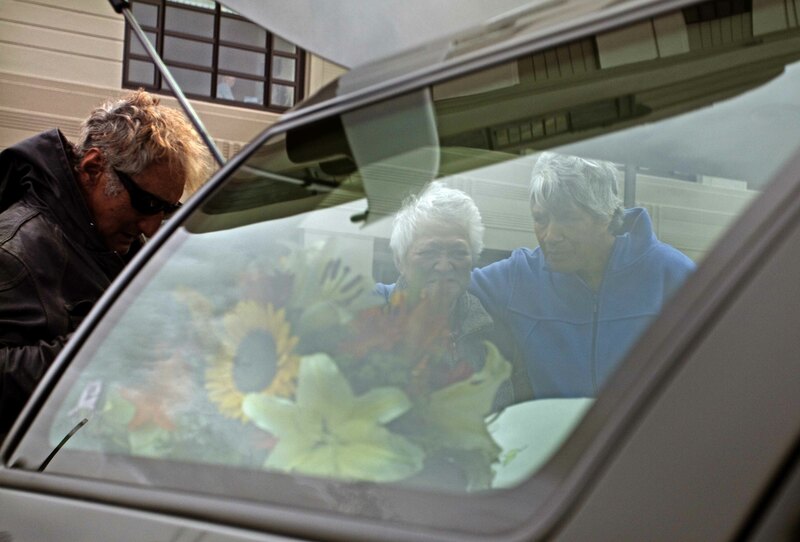 Sue Hollows, the sister of murdered Radio New Zealand journalist Phillip Cottrell, clutches his framed photo after the funeral service at St Andrews church in Wellington. 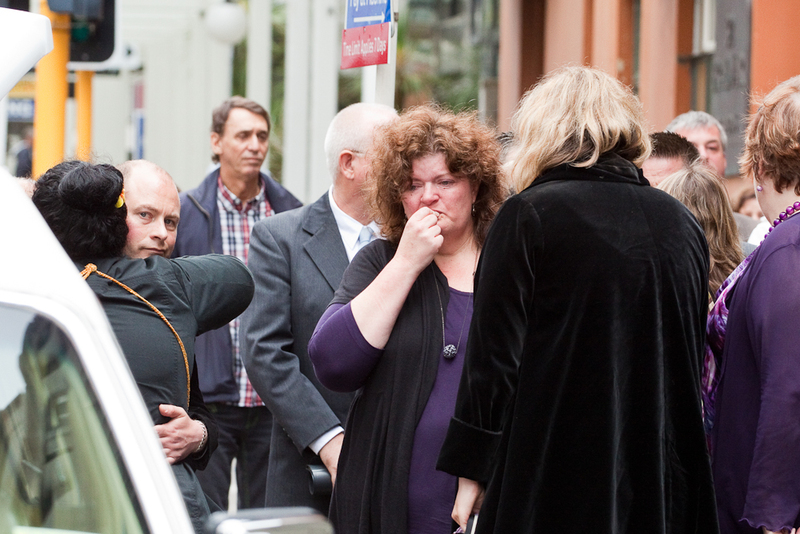 Mourners at the funeral service of murdered Radio New Zealand journalist, Phillip Cottrell, at St Andrews Church in Wellington.